As we head to the holidays I wanted to revisit an old “model” and just clarify a couple of items that have cropped up in conversation over the years. The item in question is RAMP. This, as you may remember, is my core intrinsic motivation model of Relatedness, Autonomy, Mastery and Purpose. Obviously, based on Self Determination Theory, this has been a really handy tool in all of my gamification exploits over the years. The basic idea is these are 4 motivations that are core to all people in some way. In self-determination theory, Deci and Ryan only speak about Relatedness, Autonomy and Competence (Mastery), as altruistic purpose is part relatedness. Whilst true, for gamification it is useful to separate this out into its own. RAMP is not a taxonomy, people are not one or the other, they are a spectrum of all of the motivations, and much more! That said, depending on the context, one motivation may be more important to them than another. For example, if generally a person is most interested in relatedness and you put them into an educational setting, at that moment mastery may be the most “active” motivation. The point of this, just like the Player Type HEXAD, is to remember that all these motivations are at play in all of us but that we are all slightly different, just some are more active than others in different contexts. We will always be slightly more “weighted” towards one or two motivations day to day, but the rest will still be there. The reason to keep RAMP in mind is to give some clues as to how to motivate people generally and especially towards certain types of behaviours – hence I create the Player Types based on these 4 motivations. 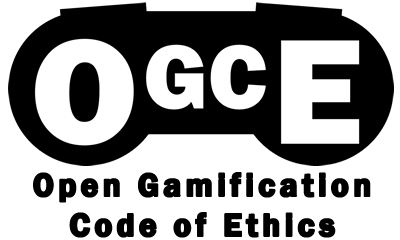 Oh and if you are interested, here is my full talk from Gamification Europe the other day!